Accreditation Standards for Wellness Centres prepared by the technical committee contains complete set of standards for evaluation of Wellness Centres for grant of accreditation. The standards provide framework for quality of care for customers and quality improvement for Wellness Centres. The standards help to build a quality culture at all level and across all the functions of Wellness Centre. 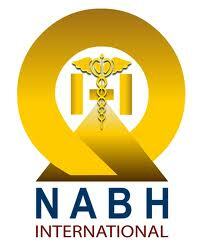 NABH Standards has ten chapters incorporating 84 standards and 396 objective elements. The standards focus on all aspects of service delivery like customer rights and education, infection control practices, trained and experienced staff, infrastructure, environment safety, processes and controls among many others, statutory & regulatory compliances. Accreditation benefits all its stakeholders. Accreditation results in high quality of care and customer safety. Customer satisfaction is regularly evaluated. Accreditation in a Wellness Centre stimulates a continuous improvement. It enables the Wellness Centre in demonstrating commitment to quality service. It raises community confidence in the services provided by the Wellness Centre. It also provides opportunity to wellness unit to benchmark with the best. The performance of the applicant organisations would be assessed on the basis of implementation of these standards in their organisations. The accreditation process would involve review of the documentation and 2 onsite visits by our trained assessors. Communication is maintained throughout the entire process between the applicant organisation and NABH thereby making the entire process a very transparent one. Renewal of accreditation has to be done every 3 years. Thus accreditation serves as an assurance of quality services from a reliable, safe and quality conscious operator to the consumer desiring the best. Though the Accreditation Program for Wellness Centres is a voluntary program but it would go a long way in enhancing the growth & credibility of the Wellness Industry in India and also build consumer trust in a wellness brand. This standard, meant for accreditation is applicable to all organisations providing wellness services. In addition to implementing the specified applicable clauses of the standard the organisation maintaining accreditation will maintain highest degree of cleanliness, customer friendly approach, transparency and professionalism in its dealings with respect to the provided services and the projection of the same. Through this standard the accredited organisations will provide a benchmark in excellence in their fields and will enhance the respectability of not only their organisations but that of the wellness industry. Wellness is a state of optimal health covering physical, mental, social aspects of an individual. Wellness interventions are those interventions that do not require overnight stay at the Wellness Centre for medical reasons; leaving the treatment after any stage should not cause any harm to the individual.